Old arm board I was using to monitor my storage temperature broke. As I didn’t have any similar boards in my piles any more, I decided that this would be a great opportunity to try something more modern instead. New board should be using a Cortex-M3/M4 CPU, have ethernet controller on board and a few GPIO pins for 1-wire interface. 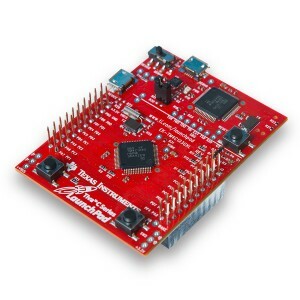 At the end I had two choices: either Olimex STM32-E407 or Texas instruments Tiva Connected Launchpad. I had earlier ported Pico]OS to Tiva Launchpad, but I still had some problems in getting simple blink-a-led stuff running. I finally found out that chip on this board requires different clock setup than the one on simpler launchpad (one must call SysCtlClockFreqSet instead of SysCtlClockSet & SysCtlClockGet). The basic uIP driver for ethernet was provided as an example with tivaware and it was very easy to adapt it from there into picoos-net library. I refactored by existing sensor-web project quite heavily by moving all board-specific stuff into separate subdirectories, hoping that project wouldn’t look like a big mess after adding new board (it now supports old Olimex LPC-E2129 arm7 board, Tiva launchpad and unix for testing). As Tiva board has more RAM than old board, it was possible to allow more concurrent tcp/ip connections, which makes the web browser interface to work a lot better than with just 2 connections. I put the board into plastic box today and moved it into storage room. 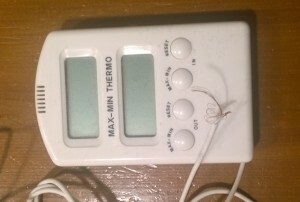 Temperature trends from it are available here. Picoos-net library has been lacking support for Wifi networks and I have been trying to figure out how to implement it. I would like to run the network stack on the microcontroller along with my application so I could keep on using APIs I’m familiar with. This rules out modules that have built-in tcp/ip networking. However, writing whole Wifi stack would be a huge task and resulting library might be too big for some microcontrollers I have been using. So this rules out cheap usb-stick style approach. 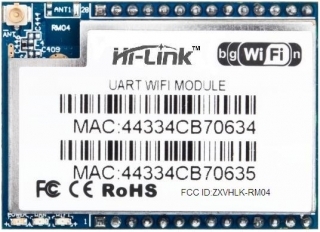 Microchip has a nice Wifi module, but documentation for it is not publicly available and their own network stack is limited (by license) for use with their own microcontrollers only. Broadcom seems to have nice modules also (Wiced) and they seem to provide some kind of SDK, which might make integration of modules easier. 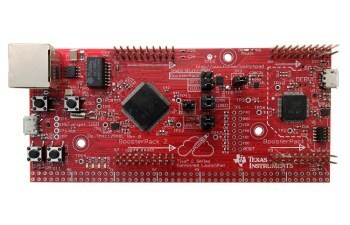 I added an example about how to run Pico]OS on Texas Instruments Tiva C Launchpad, which is a very affordable Cortex-M4 evaluation board. It costs currently less than $13 and has 256 Kb of flash and 32 Kb of ram.